The Belmont Hotel can be found on Blackpool's fabulous seafront. There are a number of seaview rooms that are available on request or for a little added luxury opt for a four poster seaview. Seaview rooms have a mini fridge - why not buy a bottle of wine from the bar and enjoy the view. There is easy access to the shops, town centre, pubs, clubs and nightlife, plus famous and popular attractions such as the Pleasure Beach, Grosvenor Casino, Ripleys Believe it or Not, Blackpool Tower, Tussauds Waxworks, Sealife Centre, Waterworld and of course miles of sand. Cliftonvilla provides bed and breakfast accommodation in the North Lanarkshire town of Coatbridge. The B&B is the ideal place to stay for those visiting on business or leisure and we are only 10 miles from Glasgow city centre. The county of Lanarkshire has plenty of places to visit and things to do. The area is full of beautiful scenery which is perfect for walking and cycling. There are two world heritage sites to see, New Lanark and the Antonine Wall as well as great attractions such as Chatelherault Country Park and Summerlee Museum of Scottish Industrial Life. The Fairfield Garden Guest House offers guest accommodation in Bowness-on-Windermere, Cumbria in The Lake District. This B&B accommodation is one of Lakeland's original country houses built over 200 years ago. Bowness is a bustling village with an abundance of shops and restaurants just a short walk from the hotel. It is an ideal touring centre, easy to reach from the M6 motorway (junction 36 if travelling north, and junction 40 if travelling south). There is an InterCity rail service to Oxenholme with a local connection to Windermere, and a coach service from all parts of the country. Tresillian House is a family run bed and breakfast situated close to the centre of Melton Mowbray in Leicestershire. 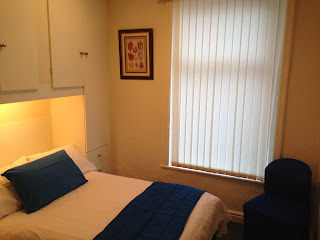 The B&B provides a warm, friendly and relaxed atmosphere in a beautiful setting. Guests are welcome to relax in the beautiful gardens which are also open to the public. We can also provide short courses and day classes in a variety of skills which you can enjoy when you stay with us. There are lots of things to do in the town or nearby area. There are many historical sites such as the Melton Carnegie Museum and St Mary's Church. For the whole family there is the National Space Centre in Leicester which is 15 miles away from the B&B. 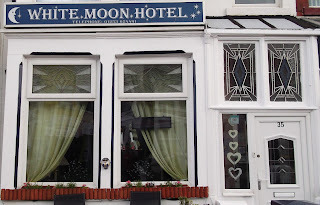 The White Moon Hotel is a family run hotel situated in central Blackpool, Lancashire. 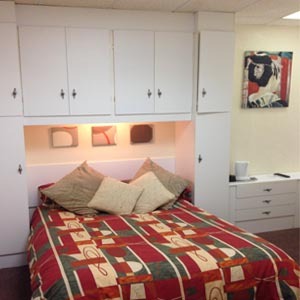 Our guests are mainly mature couples, families and single travellers. Sorry we do not cater for stag or hen parties. The hotel is only a short walk from the town centre and is close to all the amenities. 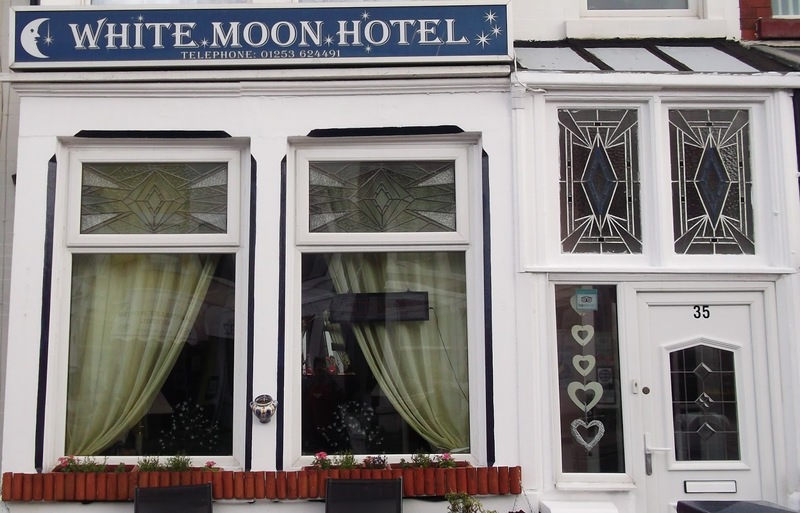 This hotel is ideal for those who need to attend a conference, CIU weekend, darts competitions or for those who just want to explore the attractions that Blackpool has to offer. Lower Cobberton offers bed and breakfast accommodation located just outside of Tigley near Totnes, in Devon. Enjoy bed and breakfast in the peaceful tranquillity of a comfortably matured 300 year old Farmhouse. This property is within easy reach of many of Devon’s prime beauty spots and lies within the area of Devon known as South Hams. It is ideally situated for the medieval town of Totnes, the commercial centre for this part of South Devon. Totnes boasts a market as well as a good selection of shops, one supermarket, restaurants, inns as well as many Elizabethan and 17th Century houses. It enjoys a prominent position above the river Dart and a commanding view of the town can be enjoyed from the keep of its 13th century castle. The Bluebell Inn offers bed and breakfast accommodation located in the highest village in Mid Wales Llangurig close to Llanidloes in Powys. It is a grade 2 listed building built from the 16th Century and contains many of its original features. We offer a good variety of bar meals served at both lunchtime and evening. For those of you with a heartier appetite why not sample one of our home cooked dishes from the daily specials board. Cuckoo Mill Farm is a mixed livestock farm worked presently by three generations of our family. We offer bed & breakfast accommodation at Pelcomb Bridge near Haverfordwest, Pembrokeshire. We are approximately 20 minutes drive from the Cleddau Toll Bridge which takes you into the town of Pembroke and the south part of Pembrokeshire where there are again lovely yellow sandy beaches, walks & castles. The wild flowers, birds & scenery throughout Pembrokeshire are second to none. There are many county craft workshops, riding stables and Welsh culture evenings.